JIM CROCE: YOU DON’T MESS AROUND WITH JIM: 1972: 4 STARS OUT OF 5 STARS: Croce’s major label debut- You Don’t Mess Around With Jim #8 and Operator #17 were hits at the time. Time In A Bottle would become a #1 hit after his death and the album would then go to #1. A fine collection of songs- other favorites-Photographs and Memories, Hey Tomorrow, Tomorrow’s Gonna Be A Brighter Day, A Long Time Ago. Croce was only 30 when he was tragically killed- he looked older- like he had lived life. 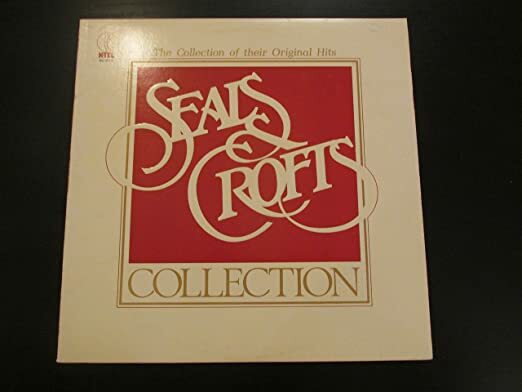 SEALS AND CROFTS:COLLECTION: 1979: 3 1/2 STARS: The definition of soft rock in the early to mid 70’s- they had eight Top 40 hits and they are all on here- the best being Summer Breeze, Diamond Girl, Get Closer and We May Never Pass This Way- pleasant songs. Eight songs here on each side-Only a Seals and Crofts junkie would want more. Summer Breeze is a great summer song I will give them that. MARSHALL CRENSHAW: DOWNTOWN: 1985: 4 STARS OUT OF 5 STARS: Crenshaw’s third album- co-produced by T-Bone Burnett. There were three singles released on the album all good songs but none made the Hot 100- Little Wild One[No.5} Blues Is King, The Distance Between. Other favorites I’m Sorry [But So Is Brenda Lee} and Terrifying Love. A nice power pop album- never understood why Crenshaw wasn’t bigger. 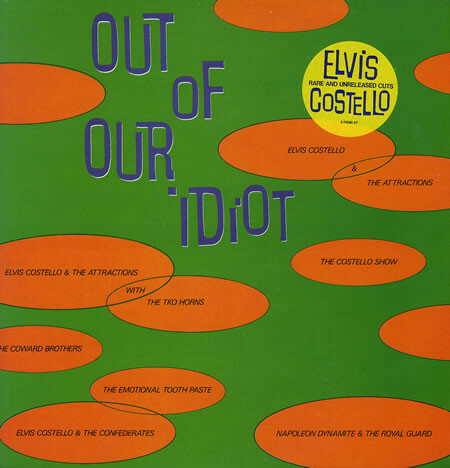 ELVIS COSTELLO: OUT OF OUR IDIOT: 1987: 4 STARS OUT OF 5 STARS: An import – unreleased and rare recordings- b-sides, covers etc from Elvis from 1979 to the mid 80’s- a good collection for the Elvis fan in your family. ELVISISKING! 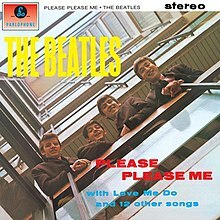 THE BEATLES: PLEASE PLEASE ME: 1963: 5 STARS OUT OF 5 STARS: Starting another journey through The Beatles catalog. listened to the September 23rd edition of Celtic Crush with Larry Kirwan- on The Loft. That is a great one! One of the best singer-songwriters of the period. He seems like one of the ones you’d have enjoyed sitting around talking too- didn’t seem to take himself so seriously as some of the others. It was like he was talking to you instead of singing. Reminds me of the way Bruce works…differrent music but the working man approach. Unique voice. Blues is King is a great song. Omgosh…I feel like Summer Breeze played the entire summer of one of my high school years. A lot of the naive girls felt it was the soundtrack for their relationships.